Here it is, the first C&R needing identifying. 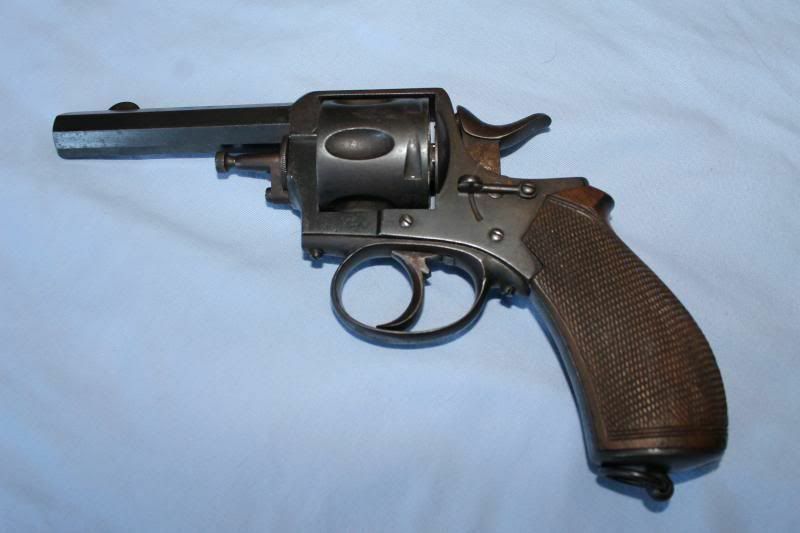 Hopefully all of you who have C&R Weapons, or a really rare find will post up some pictures. And to those who have an interesting piece that needs identifying, I hope you will not be shy and post up those pics as well. 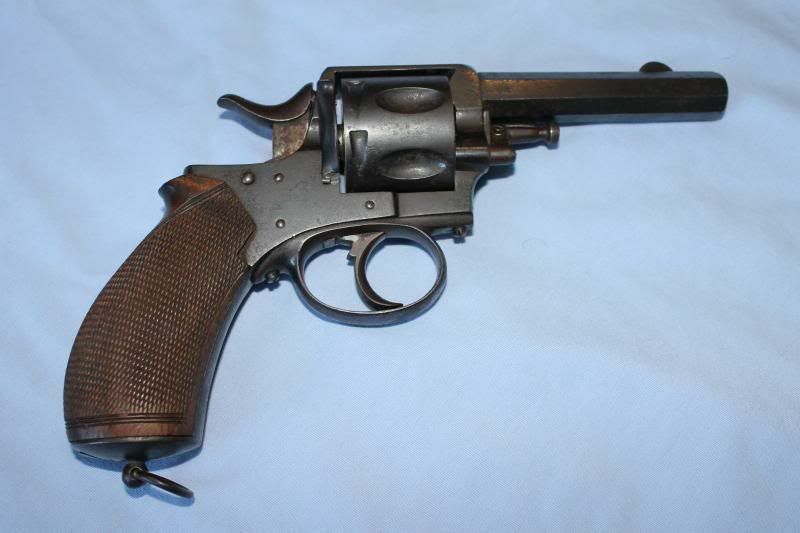 We think this is a Belgian revolver, late 1800s, possibly 11mm ammunition for this? Not to sure. 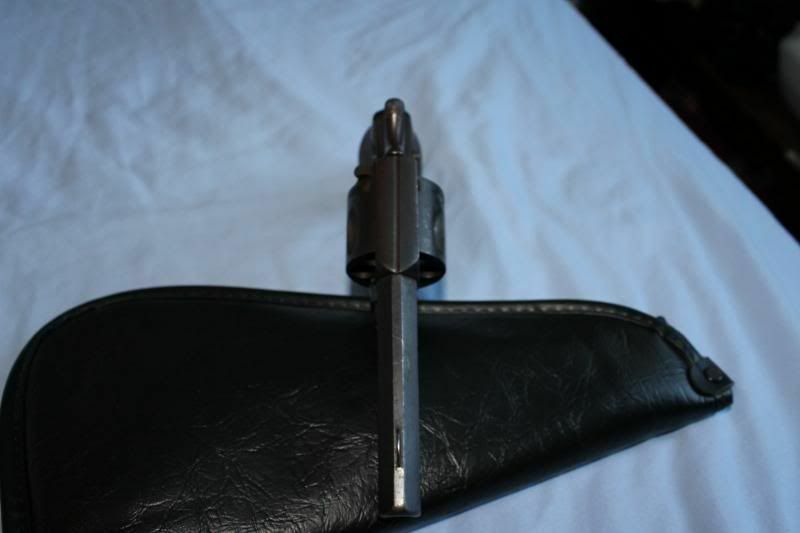 This is a DAO revolver with a safety lever. 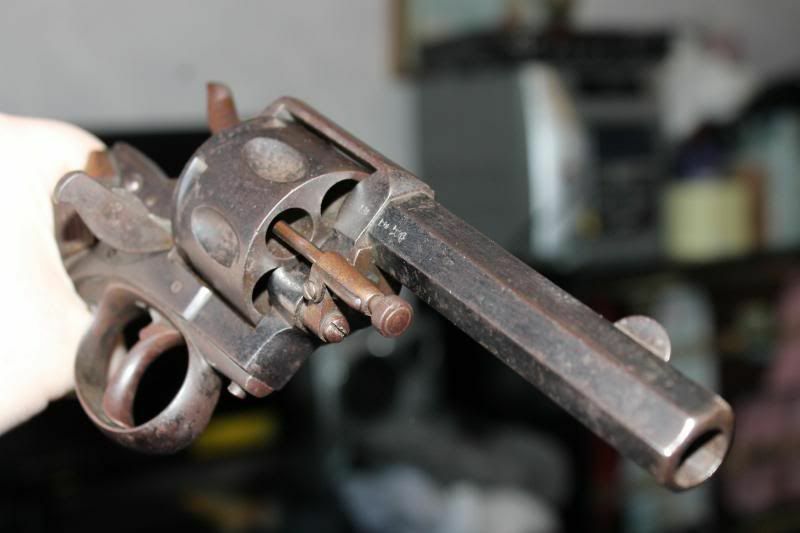 Does anyone have any ideas as to what this revolver is? (04-05-2013, 10:55 AM)rthrasher2 Wrote: [ -> ] There are no other Proof Marks or Wording? Perhaps on the cylinder or grip under the scales? Here are a couple examples of the "Crown over R" proof mark. 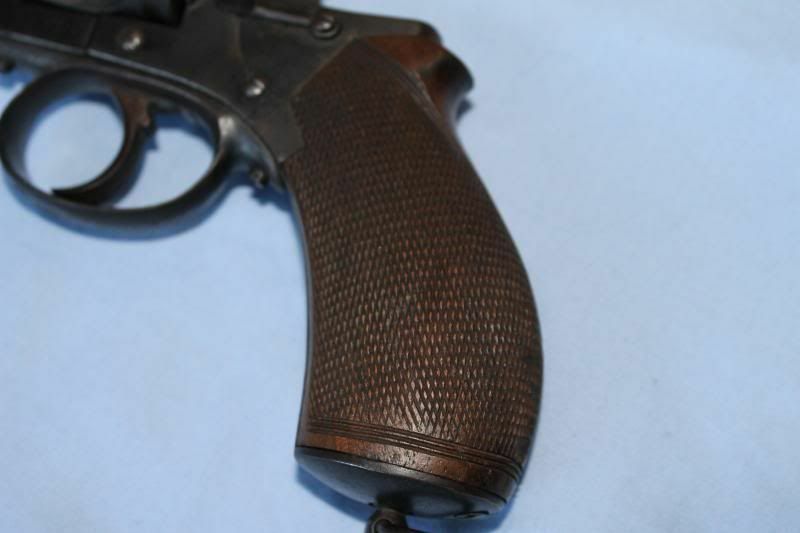 Based on what Ive read, it is a Belgian mark and could mean something different between Revolvers, Rifles, and Shotguns. It also may mean something different depending on its orientation. 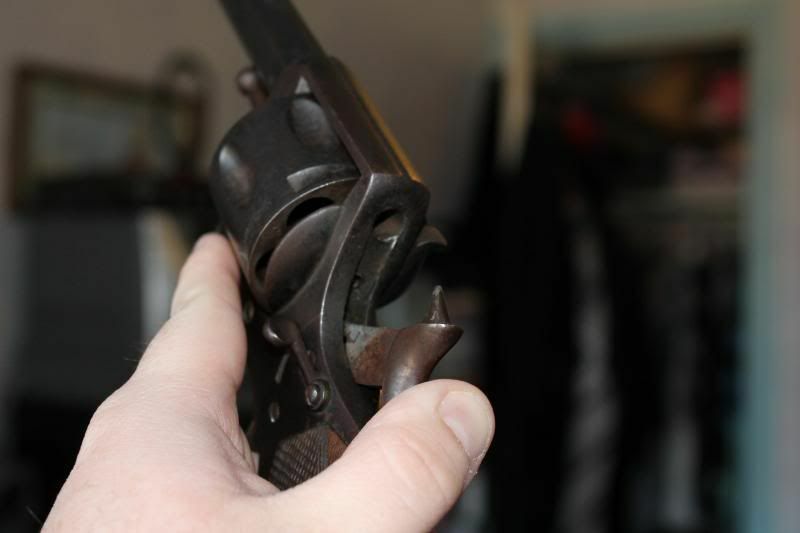 According to this http://forums.gunbroker.com/topic.asp?TOPIC_ID=440517. 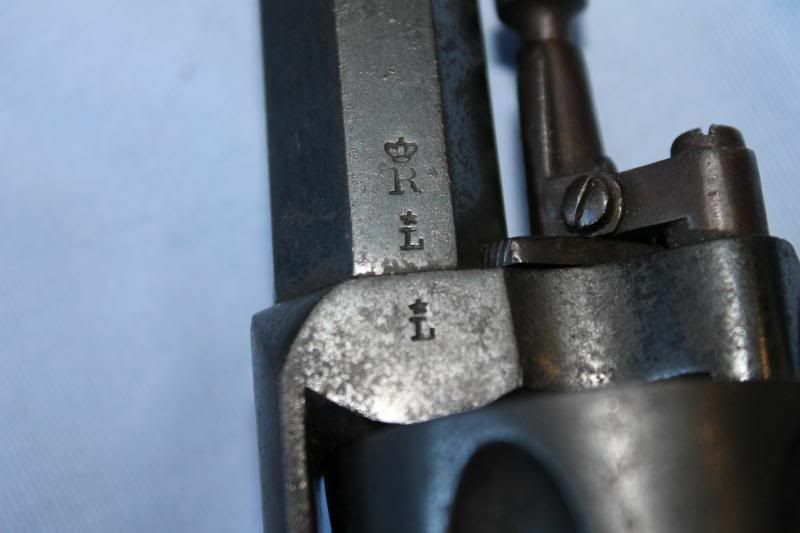 The "Crown over R" is a proof mark used for high pressure proof loads in revolvers. All I can find at the moment. 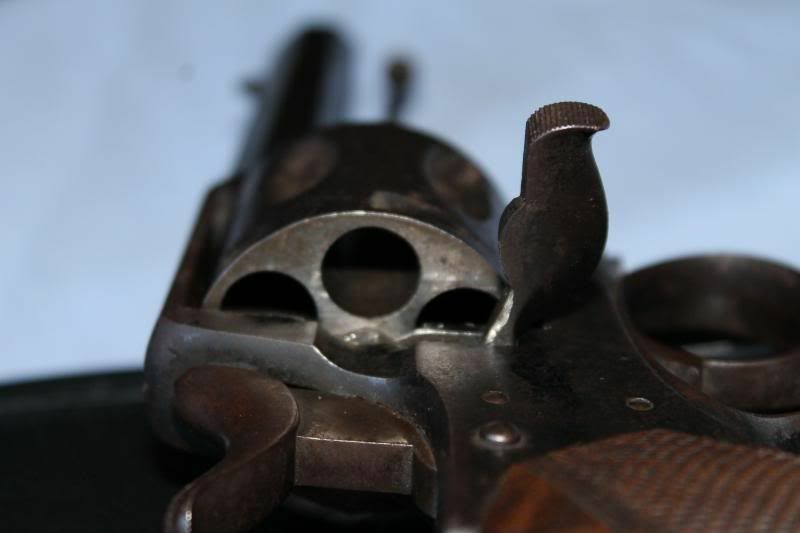 Its just interesting looking.. Octagonal barrel, safety lever... Trying to find any info on this is hard LOL. Thanks for the input though. 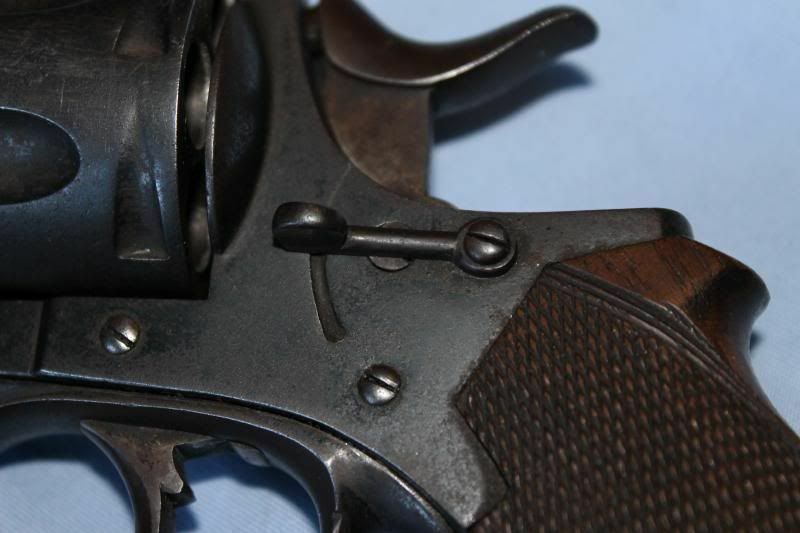 As far as Ive looked there are no other real markings, but its also not my gun to do a detail strip. Send the Photos to the NRA they can help you identify the weapon, they have people down there who just do that for members. (04-17-2013, 09:51 PM)regelr Wrote: [ -> ] Send the Photos to the NRA they can help you identify the weapon, they have people down there who just do that for members. Very cool I will give that idea to my neighbor.